Whether you are a pro at other kinds of fishing and you are looking for diversity or you are a complete beginner who has never touched a fishing rod before, fly fishing in Montana can be a wonderful experience. You can make the most of your fly fishing trips by starting off on the right foot with the proper fly fishing gear, destinations, and practice. Continue for a few useful tips if you are looking into getting started with fly fishing. The name fly fishing comes from the artificial flies that you will use to catch fish. The purpose is to trick the fish into thinking that they are feeding on a fly; thus, imitation flies are integral to the sport . These flies may be made of beads, yarn, thread, or even hair. Different types of artificial flies may attract fish at different levels of maturity and size. In addition to your flies, you will need a rod, fishing boots, extra line, and chest waders. You should also bring bug spray, binoculars, and sunscreen when you embark on a fly fishing trip. All of this equipment will help you to stay comfortable and enjoy a successful outing. 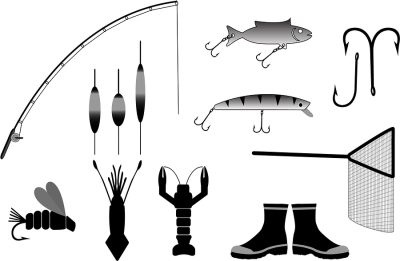 Once you have rounded up the appropriate fly fishing gear, you must find an appropriate location to fish. This is where guided fishing trips come in handy, because your guide will take you to the perfect areas where you have the best chance of encountering fish and enjoying your trip. Guided fly fishing trips sometimes include a stay at a fly fishing lodge as well. The fish you come across will vary by your location; you may find salmon or trout in mountain streams or various kinds of other fish in lakes and ponds. Fly fishing does not start in a pond or on a boat. You must practice your technique before you go on the trip in order for the tour to be successful. Familiarize yourself with your fly fishing gear and practice casting before you set up a Smith river fly fishing trip.